There’s been some interesting developments on the subject of stethoscope hygiene this month, (Nov 2018) with the results of two large U.S clinical studies published in the American Journal of Infection Control (AJIC). The findings do not tell us anything new mind you, (the conclusion that stethoscopes are often improperly or rarely disinfected does not come as a surprise to any of us that work in point of care environments). However, the fact that AseptiScope(TM), Inc. has made a timely announcement that it is releasing an innovative medical device to reduce stethoscope contamination is also of interest. First, let’s discuss the nature of these recent studies. In the AJIC November 6 issue, a study carried out in Houston, Texas observed the hand and stethoscope hygiene habits between clinicians and patients. Over 400 interactions, the investigators found that even though disinfection stations and gloves were routinely used in hand hygiene, the results were far different when focusing on stethoscope hygiene. Fewer than 1 in 5 stethoscopes were disinfected. In fact, the study found that less than 4% of interactions conformed to CDC guidelines. Both doctor’s actions and technological limitations seem to be preventing a more thorough form of stethoscope cleanliness. In a similar study carried out in San Diego, California (published in the latest AJIC), investigators observed 426 emergency room patient interactions. The results here found that stethoscope hygiene occurred in no more than 13% of patient interactions. Out of that small amount, many were not even in compliance with CDC guidelines. It can be argued that a fast-paced and highly intense emergency setting, stethoscope hygiene is essentially neglected. As the November 9 San Diego study warns, a quick wipe with alcohol does not amount to a robust stethoscope hygiene solution. The issue of stethoscope hygiene is not a new one by any means. Back in 2013, Saunders et al. performed a simple study on the prevalence of stethoscope cleaning at a UK medical school. There findings were alarming, with only 3.9% of subjects cleaning the stethoscope after every patient, and only 9.7% cleaning the scope at least once daily. 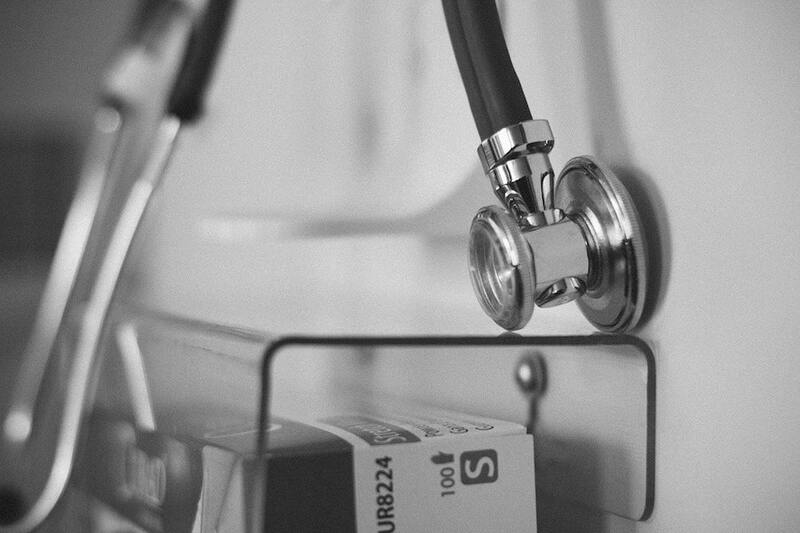 It can be argued that if students are performing so poorly when it comes to stethoscope hygiene, educational practices are also an area that need to be addressed. That being said, a July 2017 study published in the American Journal of Infection Control, tackles that question head on. Here the investigators implemented a pilot project to provide education, reminder flyers and provision of cleaning supplies at the start of clinical rotations for housestaff, medical students, and attending physicians. Hand hygiene rates did not change significantly with rates between 58% and 63% while stethoscope hygiene remained close to zero. Devices to combat that issue of stethoscope hygiene are not new. We reported on a some interesting patents here on the subject. However, as these recent studies show, no real practical change as been demonstrated as yet. The AseptiScope DiskCover(TM) System (a new product from the California based medical device company) wants to change that however. Planned for release in 2019, the system aims to provide clinicians with a visible, rapid and affordable hygiene solution that can be applied directly to the stethoscope. A dispensing system could certainly be the answer if placed in convenient to use, accessible areas within healthcare environments. However, the clearly entrenched habits of healthcare workers does need to change if any such system is to really take off. Further studies will no doubt be needed to conclude the overall impact of such a device. Factors influencing stethoscope cleanliness among clinical medical students. J Hosp Infect. 2013 Jul;84(3):242-4. doi: 10.1016/j.jhin.2013.04.003. Epub 2013 Jun 10.